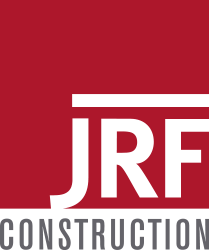 JRF Construction got our start building for the hospitality and food service industry 15 years ago. Since then, we’ve built dozens of new stores and remodeled hundreds. We know that any interruption to your business can be costly, whether that’s a delayed opening or not scheduling a project to allow customers to continue frequenting your establishment. We manage any construction effort, whether a new build or remodeling, with this in mind. We maintain solid relationships with our subcontractors and suppliers to ensure rapid response to our project needs. We can move the project along quickly, and communicate constantly to keep you up-to-date with the building progress. And, we will work closely with your suppliers to allow them to schedule deliveries and work activities throughout the process. Provide us with some basic information and we'll get back to you within 24 hours.